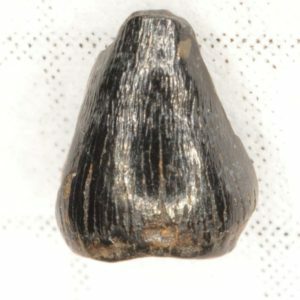 Typical tooth. 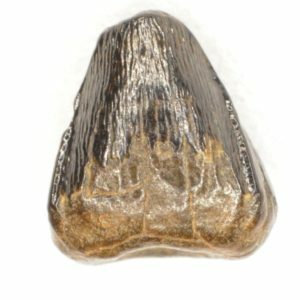 Most teeth are from Prognathodon sp. 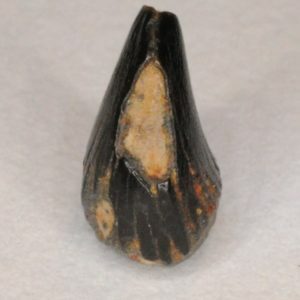 and Mosasaurus conodon. 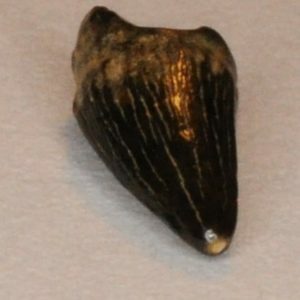 This one is probably M. conodon. 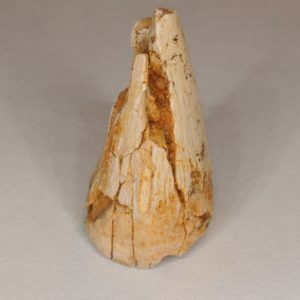 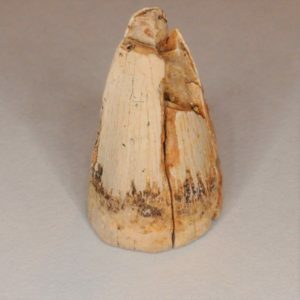 An interesting “albino” Mosasaur tooth. 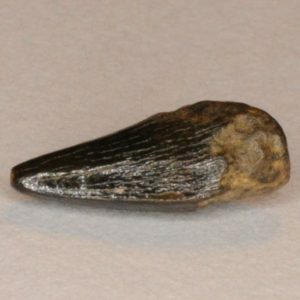 This one seems like it is from Prognathodon sp. 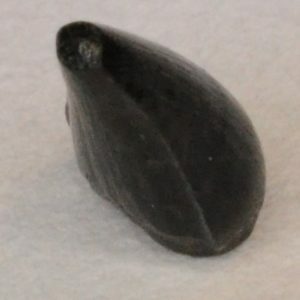 This one has an unusual shape. 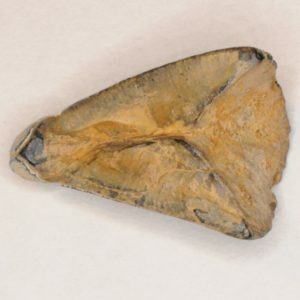 It might be a pterygoid tooth. 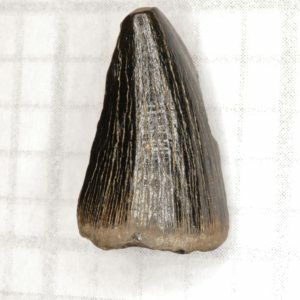 An M. conodon tooth showing a classical wear pattern. 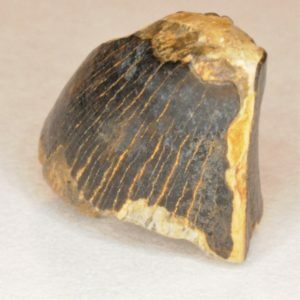 Mosasaur teeth are very prone to splitting in half. 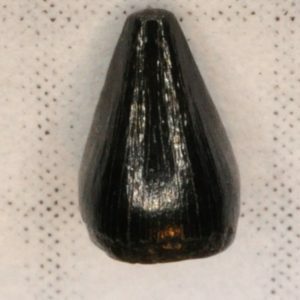 A crazy tooth. 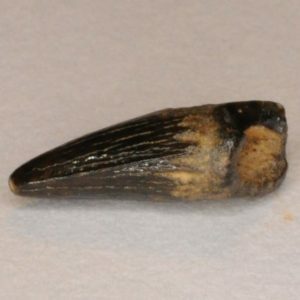 This is a pathological anterior/lateral Prognathodon sp. 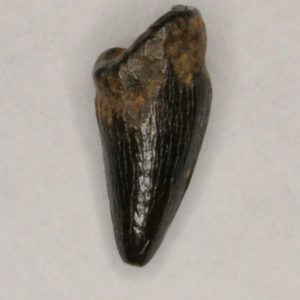 tooth. 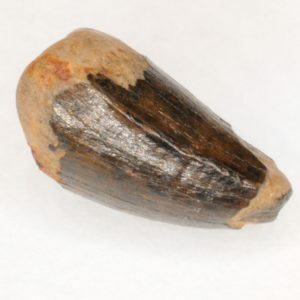 It is extraordinarily rare to find a pathological Mosasaur tooth in such nice condition anywhere, especially in NJ. 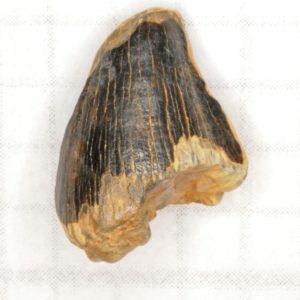 The tooth has 4 carinae instead of the normal 2. 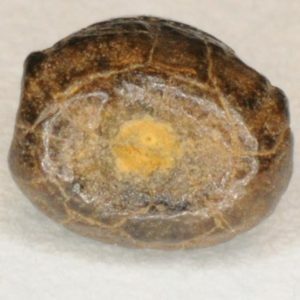 It also has a slight contortion and a slight flattening/indentation towards the base of the inner lateral surface. 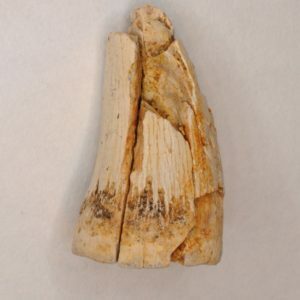 This pathology was caused by either an injury to the tooth germ, a feeding injury, not enough room for normal growth (which made it grow scrunched in the tight space), or maybe by the anterior side of the tooth lodging into the next tooth, making it grow awkwardly. 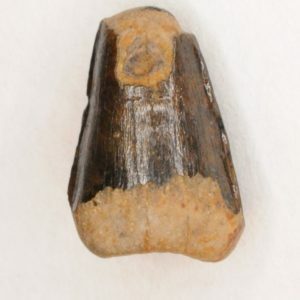 The tooth also doesn’t seem to have any signs of occlusion by the tooth that would have been located in the same position as this tooth, just on the other jaw, or any apical wear (from feeding); this means that it was likely not in the usual erect position. 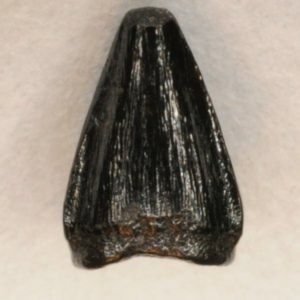 ID by Lynn Harrell of the Alabama Geological Survey. 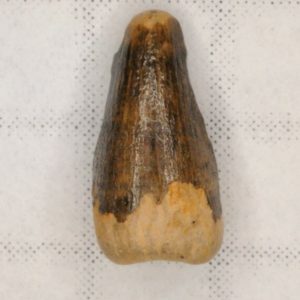 This tooth is likely a posterior. 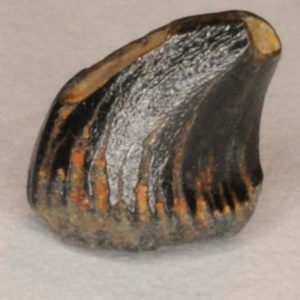 Posterior teeth are more distally curved. 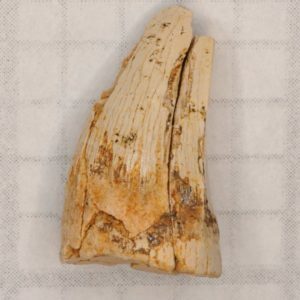 IDd with the help of John W.
This tooth is a posterior Prognathodon sp. 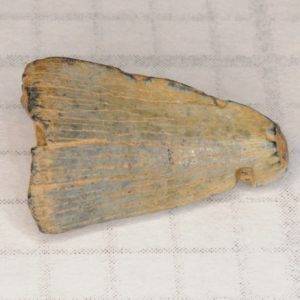 This tooth may actually be a Croc tooth. 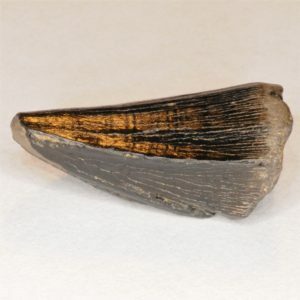 It also could be a juvenile Mosasaur tooth. 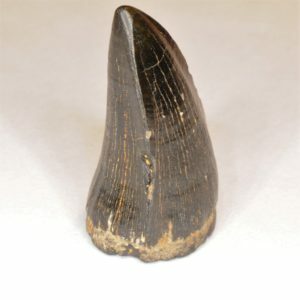 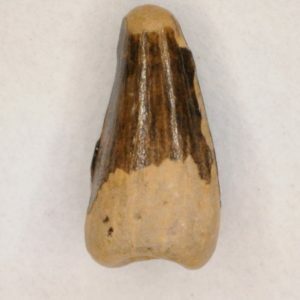 This tooth may also be a Croc tooth. 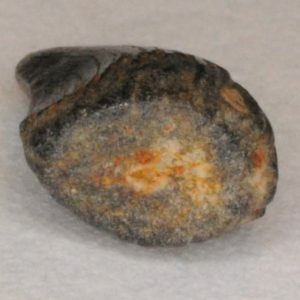 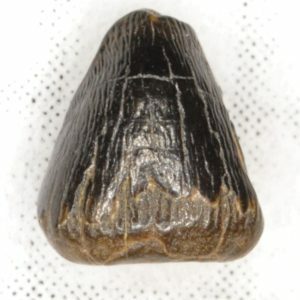 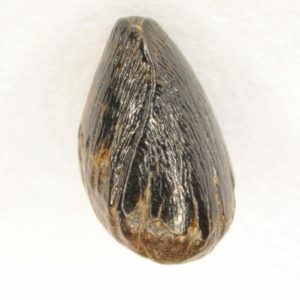 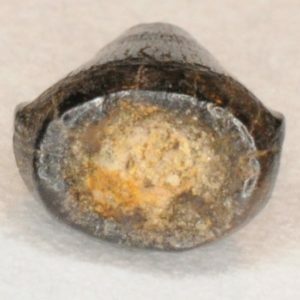 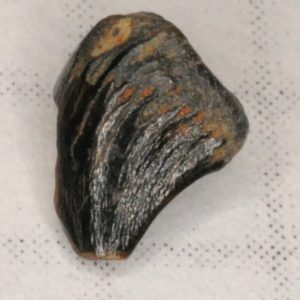 Juvenile Mosasaur tooth. 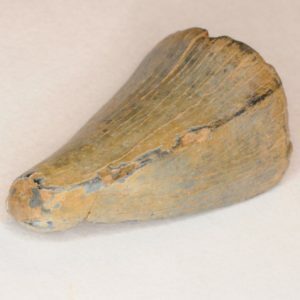 The presence of a lot of wrinkles distinguishes Mosasaur teeth from Croc teeth. 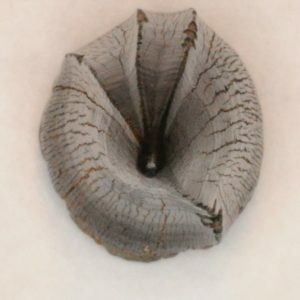 This one also has some interesting sinusoid carinae. 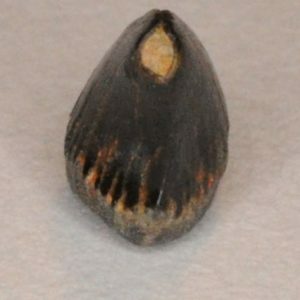 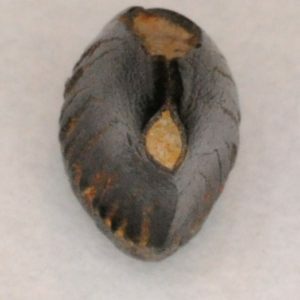 This tooth is very similar to the one above. 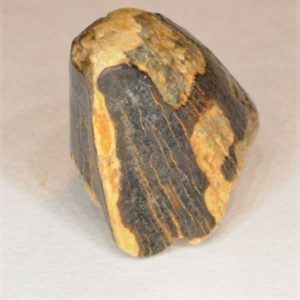 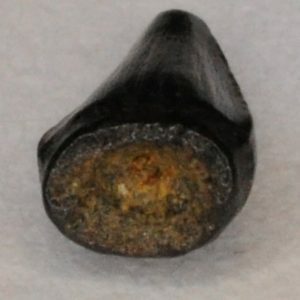 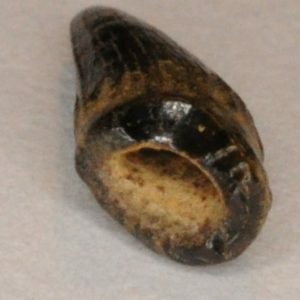 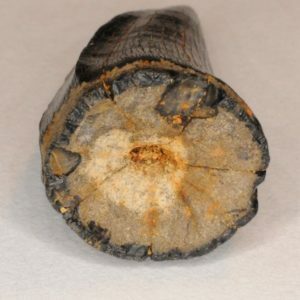 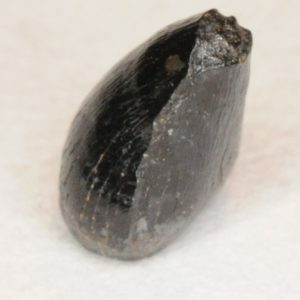 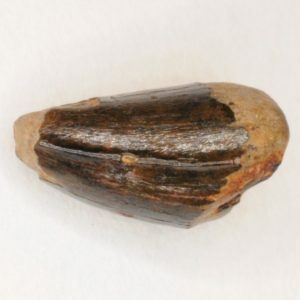 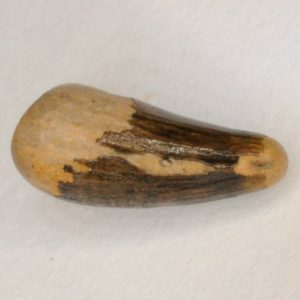 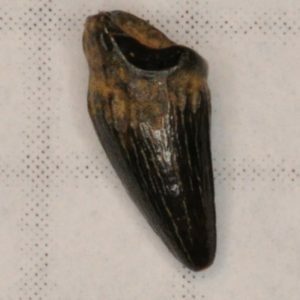 This is an unusual Mosasaur tooth. 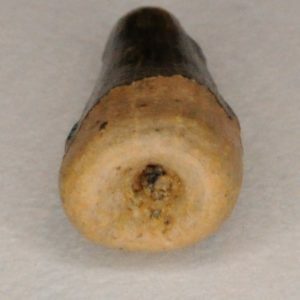 It seems to be a replacement tooth with a partial root. 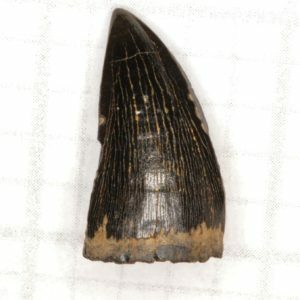 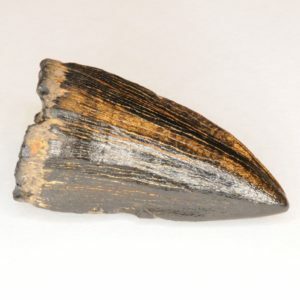 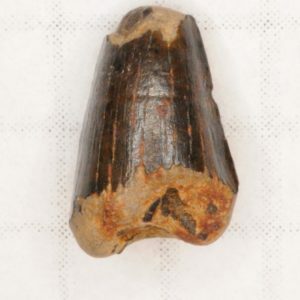 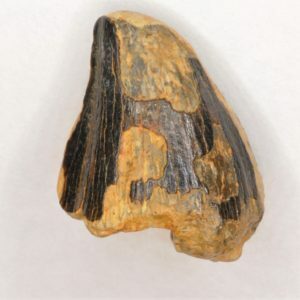 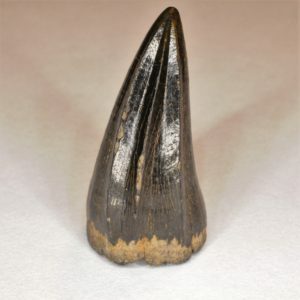 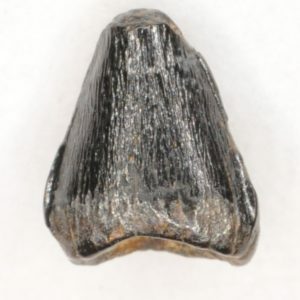 It must be from a Mosasaur that died with it still in its jaw (that is the only way a replacement tooth can be found). 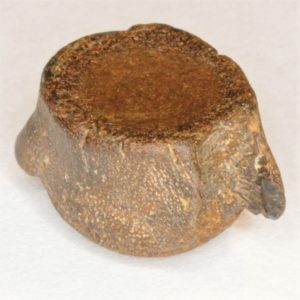 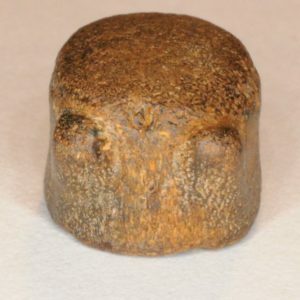 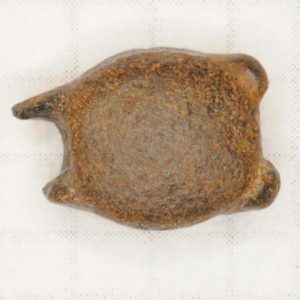 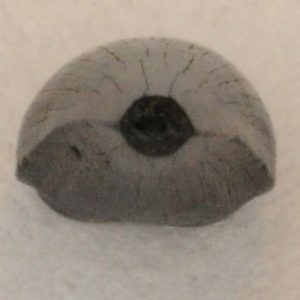 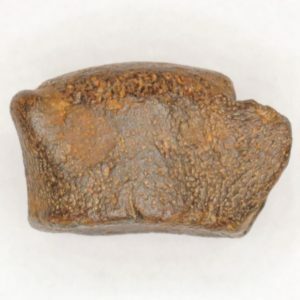 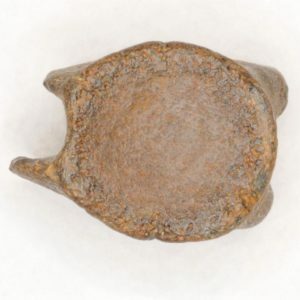 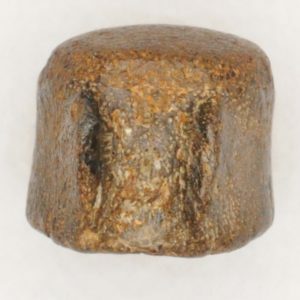 Mosasaur terminal (posterior) vertebra. 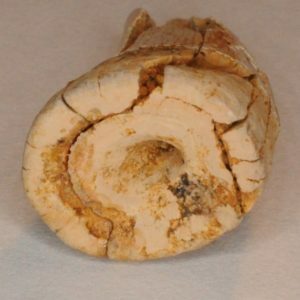 Posterior vertebrae have a different shape and aren’t as common as the more anterior types of vertebrae. 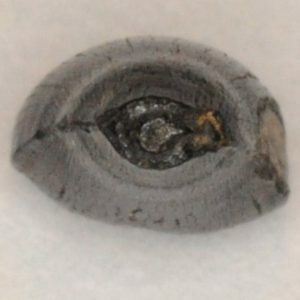 This one still has the four processes attached.